Raven Tours and Treks is Bhutan based local company having best team works with Local guides and staffs. We are able to offer the best package prices to our travelers. Feel free to ask us to customize your dream Bhutan tours and Optional hiking to Tigers Nest. We are the team of experienced travelers and trade partners having strong networks in all sectors of Himalayan Nation Bhutan. We suggest you best restaurants, hotels, optional places to visit. and many more…. We are Himalayan people helping travelers since 2004, we guide you any part of Bhutan’s mountainous green valley, cities and remote villages. All our travel leaders are fluent in English and expert in Bhutanese local culture, talk now. A great example of traditional way of living in this modern days is Bhutan with gross happiness. If you wish to explore spiritual and simple life in 21st century Bhutan is one of the country. This Himalayan kingdom journey will be life changing experience. 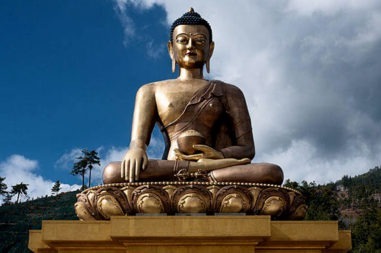 If you’re looking for cheap cultural package tour cost in Bhutan, Raven Tours and Treks can assist you with cultural tours and Travel, private trips and small group sightseeing tours throughout the Kingdom of Bhutan. Our company was established in the year 2004 and one of the fastest growing for leading inbound tour operator based in the capital, Thimphu. All our trips are fully customized and leads all qualities trips with best rates guaranted. Our trips include from private cultural tour, small group trip to serious adventure and specialized photography journey . Also for those who are looking for unique experience, we specialize in charter helicopter in Bhutan and mountain flight services. Travel with us as a local and experience the exclusiveness. Spring time March and May , fall season September to November has good weather . December to February is winter and cold outside in morning and evening time but nice and sunny during day time. July and august is rainy season so expect rain but weather is unpredictable like other places in the world. if you go higher altitude is cooler and lower altitude is warmer in Bhutan. due to mountains can enjoy nice breeze too. most of the days are clear except monsoon and good for hiking. Now a day’s Bhutan has good networks of mobile phone and internet facilities in major cities but in remote areas internet might be too slow. if you have international roaming telephone it will work in Bhutan. television and radio stations are well developed. touris can buy local sim card at arrival in Bhutan airport/town too. 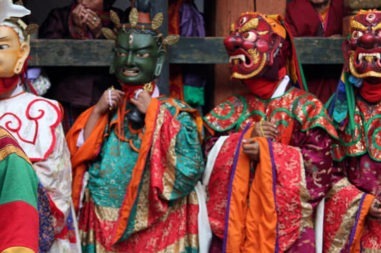 Bhutan is famous for gross happiness. most people live in rural areas who welcome visitors by smiling. People are religious and polite. they go to Dzongs daily and pray. mostly practice buddhism. Bhutanese people can be grouped in three groups – Indo-Mongoloid, Ngalongs and Lhotsampas. Indo-Mangoloid lives in Eastern Bhutan. Ngalongs lives in western part of Bhutan since 9th century. Lhotsampas are living in southern side of Bhutan and speak Nepalese language as they were originated from Nepal. Bhutanese people eat Vegetables, hot chilies, rice, maize and wheat. National dish is chili and cheese(Ema Datse), other foods are ; cheese or meat dumpling (momo), salad of cucumber, tomato, onion and cheese. Bhutanese food is normally spicy so be careful while you are ordering your foods. We suggest to use bottled water for drinking. local alcohol is ARA which is distilled after fermentation of rice or wheat or corn. modern drinks are also available such as coke, sprite, Pepsi, Miranda, mountain dew…. Bhutan has generated own hydro and supplied all over country, there is no problem of power cut in cities. the supply is 220 voltage, 50 cycles ac with 3 prong plugs like many Asian countries. but your hotels provide converter for your electric devices if needed. 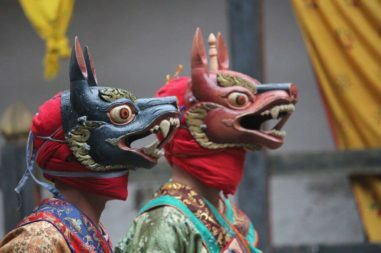 Bhutan has many festivals throughout the year. Many travellers try to attend at least one festival during their visit. 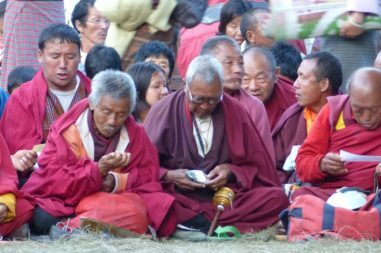 ‘ Tsechu’ is a festival tp honor of Guru Ringpoche believed originated from a Lotus flower, also famous as “Padmasambhava”, a Tantrik guru. 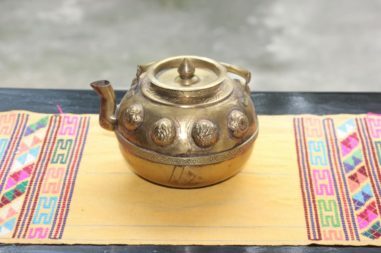 Tsechu festival is religious celebrations because people believe merits come with this celebration. 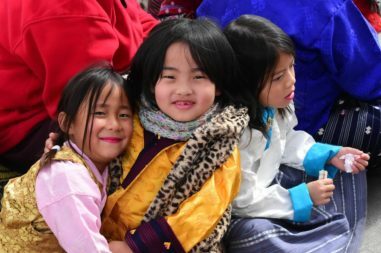 festival is also social gathering where the people all over Bhutan come to rejoice, dressed in finery together. 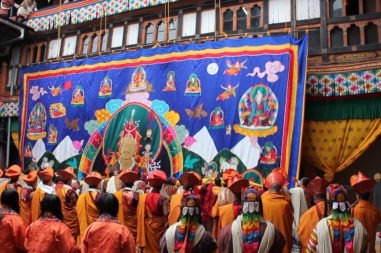 we offer Festival Tour to understand the nation’s vibrant religion & Culture. 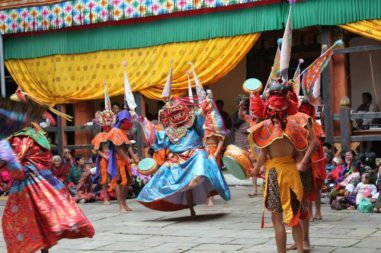 you get the chance to learn about Bhutanese way of life and enjoy unique hospitality. we are offering different festival tour all around the year so feel free to ask. Getting into Bhutan is easy for travelers if you plan in advance with professional travel company. Travel company arranges visas and all formalities few weeks before the travel date. Passport must be at least 6 months valid at the end of travel date. if passport has minimum 2 pages empty space that will be great because one page for Bhutan visa stamp and another page you may use for another country’s visa if you are travelling more places after Bhutan. Visa is issued by foreign affairs , for tourist visa we as a tour operator apply and get it for you. We send your visa copy on your e-mail, which you need to print and carry. We have special Bhutan tour package for single traveler and couples. 03 pax & above: USD 200 per person per day. for special deal contact us. * Above given package cost includes hotels, all meals, guide, transportation in land, entry fees to monuments, government taxes. some extra cost like flights, drinks, insurance and unforeseen costs. We have only one international airport and it is situated at an elevation of 2,200 meters (7220 feet) in Paro, Bhutan. 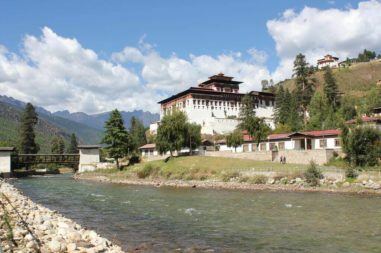 Some high end luxury hotels like Le Meridian, Como hotels (Uma Paro and Punakha), Taj Tashi, Aman kora in 5 locations (Thimphu, Punakha, Paro, Gangtey and Bumthang). there are many other Boutique hotels Tashi Namgey Resort, Ziwaling, Gangtey palace, Dewachen, Terma linca, Namgey heritage, Dhensa resort e.t.c. high end hotels have nice restaurants with expert chefs. Being a small kingdom and developing nation has many tourist standard 3 stars hotels and resorts. these kind of hotels have small restaurants and provide Bhutanese and continental foods. During trekking we use luxury tents and use our professional cooks to serve varieties foods. some village home stay options are possible too if needed but must book in advance. Do I need a visa to travel to Bhutan ? yes, all tourist visiting Bhutan need visa. Only Bhutanese company can apply Bhutan’s Tourist visa. We take care your Bhutan visa in advance and mail to you which you need to fly to Bhutan and need to show at the airport. Is tipping customary in Bhutan ? it is your private matter, tipping porters, drivers, restaurant staff and other service workers is considered polite. When taking into account the average wages earned by the average Bhyutanese person, a small tip of 5-10% of the service is a gracious way to show your appreciation. What is the internet access like in Bhutan ? 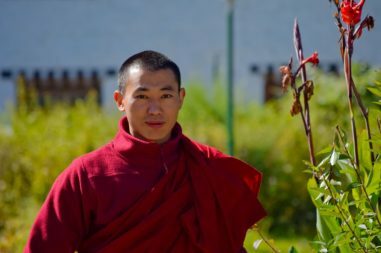 The internet has grown rapidly in Bhutan, so finding Wi-Fi access won’t be a problem. Smaller villages, isolated areas and rural villages may have limited to no access. What kind of dress should a tourist wear In Bhutan during tour ? All men and ladies are supposed to cover neck and legs while entering to the Monasteries and temple so please bring long dress. How to Visit Bhutan Without Offending?